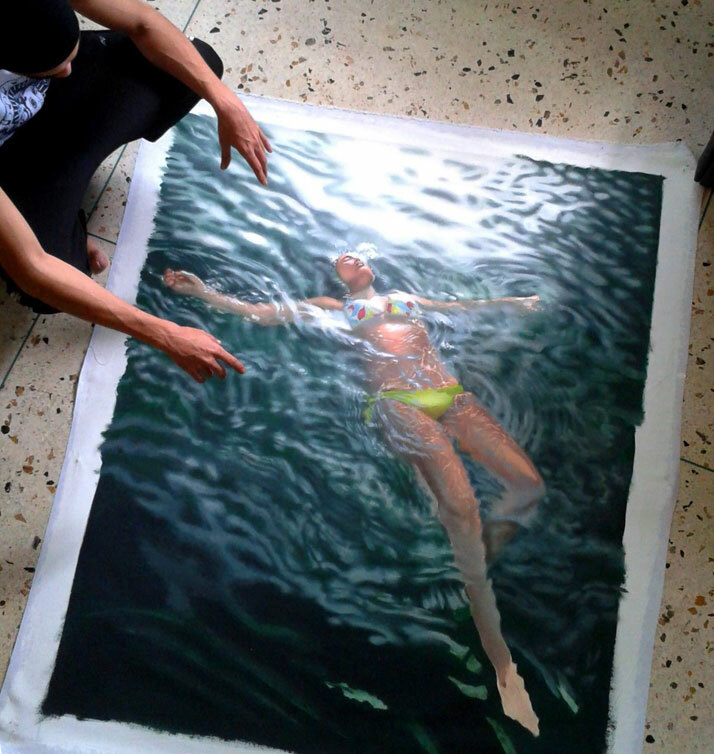 Although photorealistic painting is definitely no recent invention, it has been receiving more and more attention from the art world in recent years. 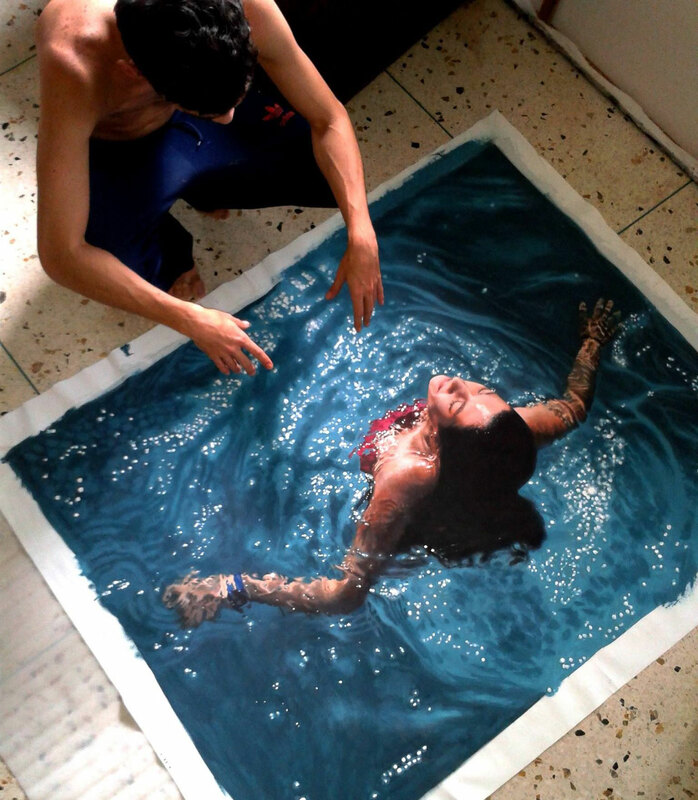 Numerous artists whose work is known internationally, such as Michael Zavros, Antonio Santin, Cheryl Kelley and Aristides Ruiz to name a few, like to use real photographs as the basis or the starting point of their paintings, usually with breathtaking results. 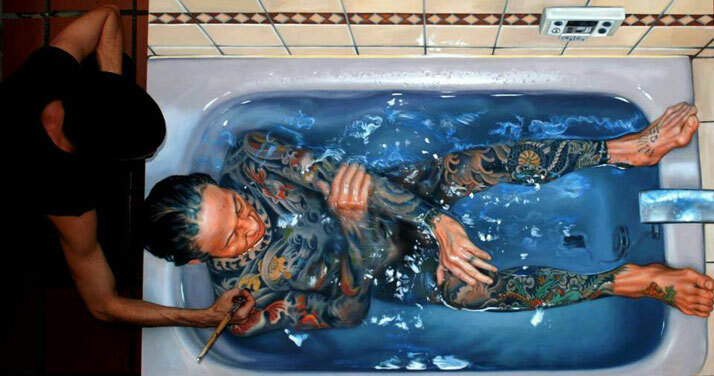 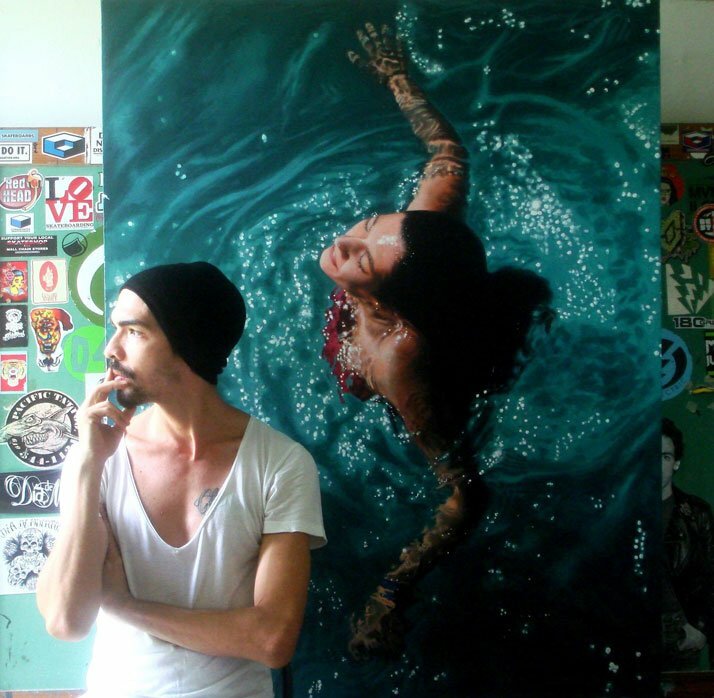 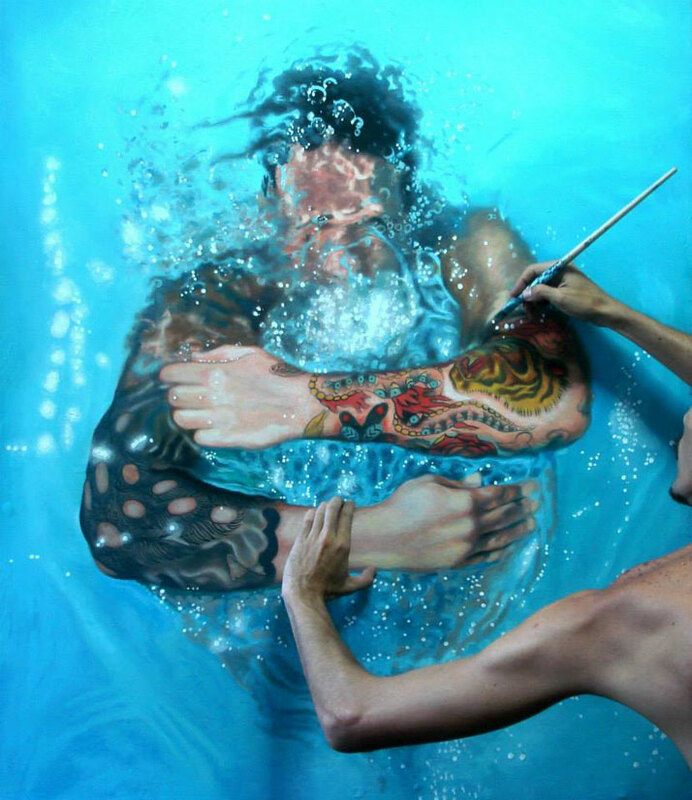 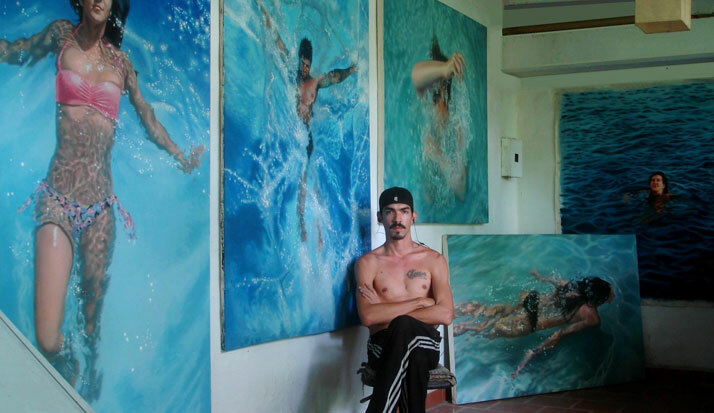 In a similar way, Venezuelan artist Gustavo Silva Nuñez paints unbelievably lifelike pictures of people, most of them swimmers interacting with the water around them. 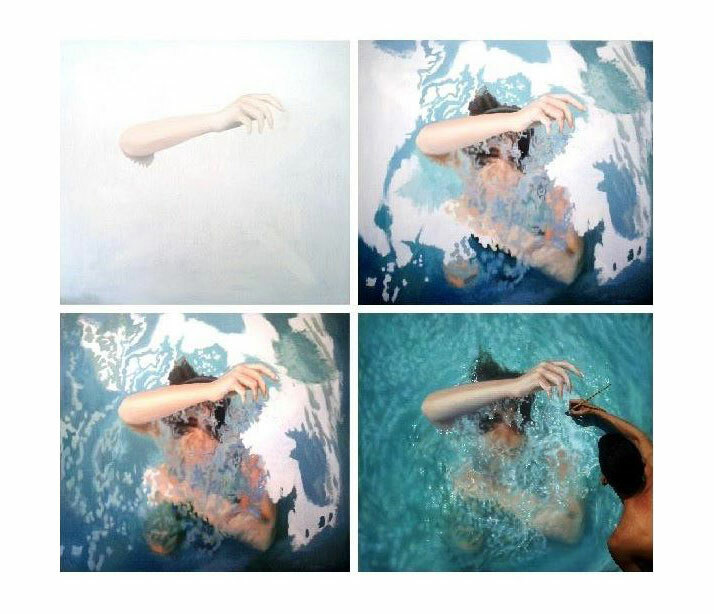 With his paintings which are realistic down to the last ripple and gleam of the water, Nuñez likes to take advantage of that trompe l’oeil on his instagram account, where he poses in front of his paintings as if he is touching or applying paint onto real people.